The GP series of general purpose microswitches from ZF are single pole, double throw switches with a size of 49.2mm (w) by 23.7mm (h) and 17.6mm (d) and come with a choice of screw or solder terminations. The GP series of general purpose microswitches from ZF are single pole, double throw switches with a size of 49.2mm (w) by 23.7mm (h) and 17.6mm (d) and come with a choice of screw or solder terminations. Electrically rated up to 20A at 250VAC with a mechanical life of up to 20 million cycles the GP series is available with a choice of button, straight or roller lever actuators. 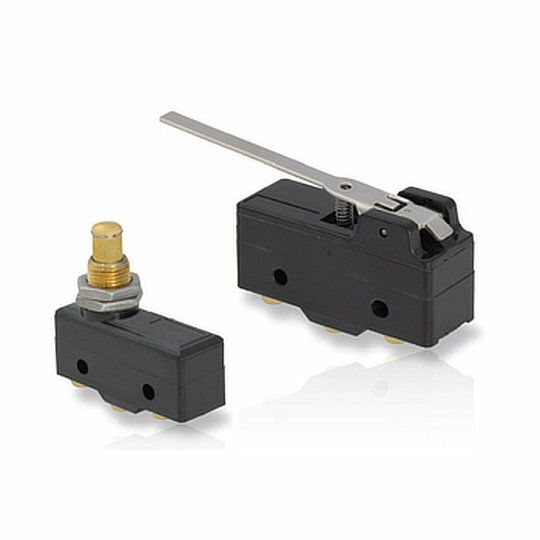 The GP series are perfect for applications such as Home Appliances, White Goods, Linear Drives, Pressure Switches, Pneumatic Valves and Float Switches.